Depends how many clients. If just a few then PageSafe from joe Workman. If many clients and you want a good management system then SiteLok is the best solution. As for setting up a forum, I hate them, just too much work to manage! however, there are loads of third party solutions if you must. For simple login pages we have a Stack for making private pages. 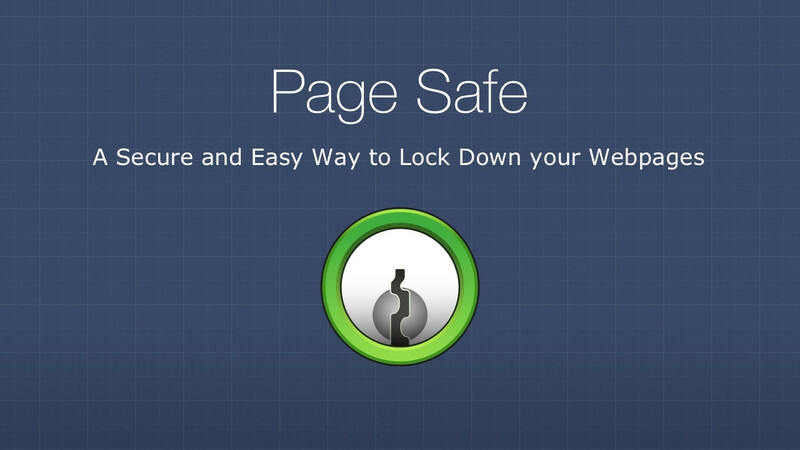 My PageSafe stack has been one of my most popular stacks over the past few years. It’s a dead simple way of password protecting webpages. You can setup multiple password to login with. If you go with Sitelok, it is a more powerful solution. Albeit more complex to setup as well. I have stacks that make it easier to implement inside RW. Thank you very much. Keep up the GREAT WORK! I have to ask. Is your name actually Edmond Dantes!?! ?